Photo courtesy of Seattle Tilth. Seattle Tilth is offering a variety of gardening classes in Southeast Seattle this summer, starting on June 22. 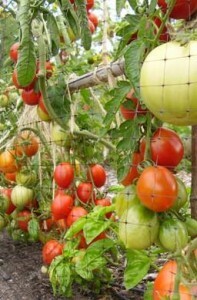 Classes include “Go Vertical,” to learn how to grow veggies vertically to maximize your space and harvest; “Wildlife-Friendly Gardening”; “Beyond the Vegetable Garden,” which will help you add perennial edibles to your landscaping; “Be Cistern Savvy!” which will teach how to collect rainwater at home; and several more. The list of classes may be found here. Classes are in the nearby Mount Baker neighborhood at Bradner Gardens Park. There are also volunteer opportunities and summer garden camps for kids in Rainier Valley. Previous PostBlue Scholars’ “Fou Lee” video releasedNext PostGraduates, send us your pictures!